At the Macallan ALB awards on 9th September 2016 MCS was named as a finalist for Criminal Law Firm and Boutique Law Firm and the winner of the Rising Law Firm of the Year 2016. The event was happily attended by all partners and staff of MCS . The judges of the awards looked at the breadth, complexity, impact and innovation of our work. 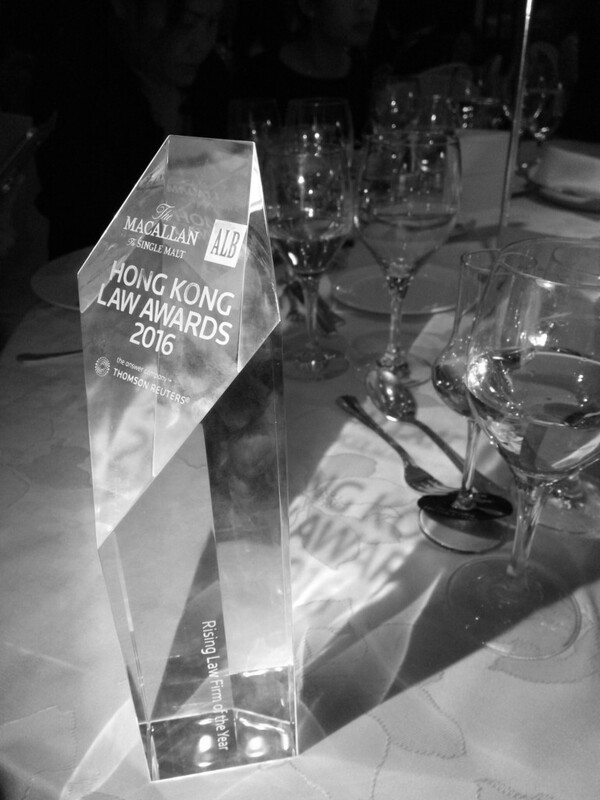 We are proud to be acknowledged by the judges of ALB and our peers for our work in Criminal Defence in Hong Kong. Thank you to all our supporters, clients and staff! Please navigate to this LINK to see the list of winners and to this LINK to see the list of finalists.